The Apes Hill community exudes an allure that is synonymous with the luxurious west coast, complete with a beautiful golf course, lovely polo grounds and stately homes. But now, the dream of luxurious living is even more within reach thanks to the latest addition to the property landscape - the country club cottages. 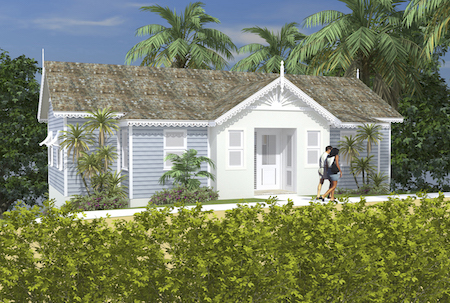 Managing Director, Donovan Bagwell, summed up the newest property category as a ‘smaller product’ with all the charm and trims reminiscent of Caribbean life. “It is a smaller product and very Caribbean in design and vernacular and serves as an entry level product into the development. They’re all detached from one another so they are all very private with views either towards the golf course or the west coast - they’re nice units for people who are not spending their whole year in Barbados. Bagwell also explains that their vision for the cottages incorporate not just investment seekers, but also families and couples looking to have a home away from home in a tranquil, secure community. 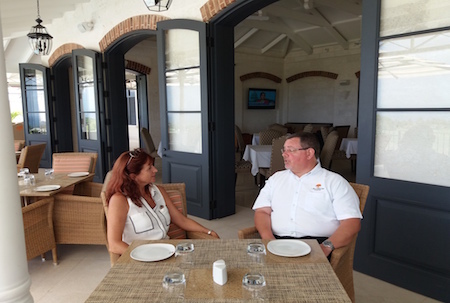 The country club cottages have come as added value on the heels of another stunning installment within the community, the country club house which was officially opened in February of this year. The country club house comes complete with locker rooms, a state of the art gym, a small spa treatment room, a lap pool (half Olympic-length) as well as a smaller resort pool, two tennis courts which are artificial grass and sand courts, a croquet lawn, practice range and facilities as well as expansive land that may be dedicated to other recreational activities including football pitches or whatever the owners require. In addition to this, Bagwell confirms that the residential facet of the community is also booming, and has resonated well across varying markets and demographics. “We have been very successful in selling a number of lots and homes at Apes Hill, but with the introduction of the country club, we’re starting to get more and more building applications from lot owners at Apes Hill. At present, we have five houses which are now under construction and that are due to be completed in the next 30- to 60-days. There is also approximately another half-a-dozen larger estate homes that are under design and will be ready to start perhaps by the last quarter of this year, so we are seeing some impetus from people that have bought or are buying land to develop.